Below you fill find all funeral homes and cemeteries in or near Herington. Suburbs of Herington: Delavan, Latimer. Zip codes in the city: 67449. Some of the notable people born here have been: Richard Uhlig (film producer and film director). Herington is a city in Dickinson and Morris counties in the U.S. state of Kansas. As of the 2010 census, the city population was 2,526. It was noted by Peoria Journal Star on August 16th, 2018 that Euviva Jene Alcaraz (Bragg) passed on in East Peoria, Illinois. Ms. Alcaraz was 79 years old and was born in Herington, KS. Send flowers to share your condolences and honor Euviva Jene's life. It was reported by Register Guard on February 15th, 2018 that Walter Adam Jr Fehrer perished in Eugene, Oregon. Fehrer was 89 years old and was born in Herington, KS. Send flowers to share your condolences and honor Walter Adam Jr's life. It was revealed by San Mateo County Times on April 3rd, 2016 that Joe Tafolla passed away in San Jose, California. Tafolla was 92 years old and was born in Herington, KS. Send flowers to share your condolences and honor Joe's life. It was written by Kearney Hub on June 27th, 2015 that Lois A Pagel (Yates) perished in Kearney, Nebraska. Ms. Pagel was 85 years old and was born in Herington, KS. Send flowers to share your condolences and honor Lois A's life. It was revealed on March 13th, 2015 that Wendell Harry Tompkins perished in Wilsonville, Oregon. Tompkins was 94 years old and was born in Herington, KS. Send flowers to express your sorrow and honor Wendell Harry's life. It was written by Albany Democrat-Herald on March 11th, 2015 that Wendell Harry Tompkins passed away in Wilsonville, Oregon. Tompkins was 94 years old and was born in Herington, KS. Send flowers to express your sorrow and honor Wendell Harry's life. It was reported by Topeka Capital-Journal on January 8th, 2015 that Shirley A Vinyard passed away in Herington, Kansas. Vinyard was 81 years old and was born in Clinton, MO. Send flowers to express your sympathy and honor Shirley A's life. It was reported by Gazette Bulletin on August 27th, 2014 that Kenneth L Pigorsch passed on in Herington, Kansas. Pigorsch was 81 years old. Send flowers to share your condolences and honor Kenneth L's life. It was reported by Marion County Record on July 16th, 2014 that Alfred Sondergard perished in Herington, Kansas. Sondergard was 91 years old. Send flowers to express your sympathy and honor Alfred's life. It was reported by Marion County Record on July 2nd, 2014 that Delores M Stroda (Bezdek) passed on in Herington, Kansas. Ms. Stroda was 81 years old. Send flowers to share your condolences and honor Delores M's life. 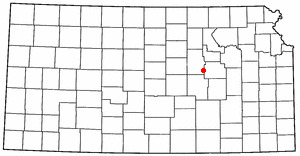 Herington is a city in Dickinson County, Kansas and Morris County, Kansas counties in the US state of Kansas. The population was 2,563 at the 2000 United States Census census. . . . The official website for the city of Herington is http://www.cityofherington.com/. funerals in Herington, KS 67449 on Yahoo! Local Get Ratings & Reviews on funerals with Photos, Maps, Driving Directions and more. The finest roses, gifts and Mother's Day flowers delivered fresh. Serving Herington, Kansas, surrounding suburbs and the entire country. The complete business directory for Herington, Kansas. We work with local florists and flower shops to offer same day delivery. You will find budget sympathy flowers in Herington here. Our funeral flowers are cheap in price but not in value.